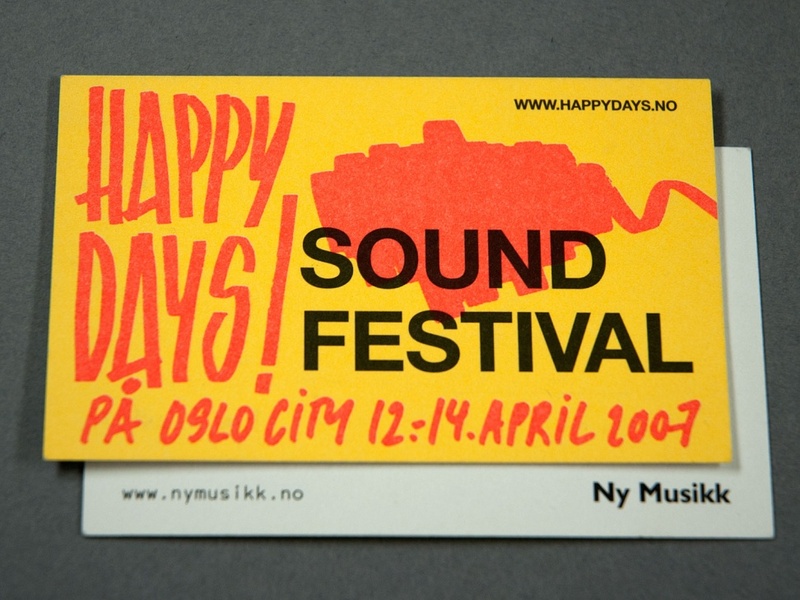 The 2007 Happy Days Sound Festival took place in the biggest shopping mall in Oslo, with the motto ‘contemporary music for the ordinary man’. We set out to make a poster honouring the traditional supermarket handwriting (hurtigskrift) to reflect the combination of culture and commerce. 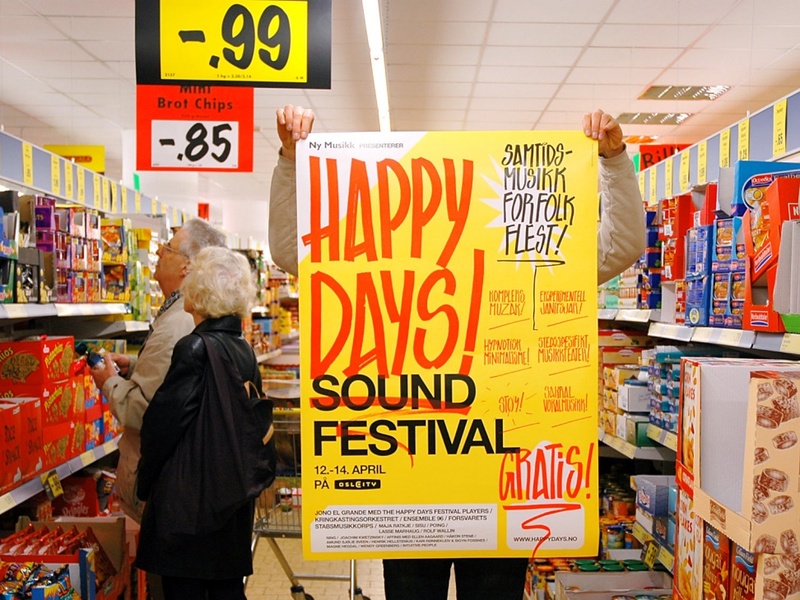 The shopping mall was hoping to gain cultural capital by hosting the festival, and ironically, found the poster to be too commercial. 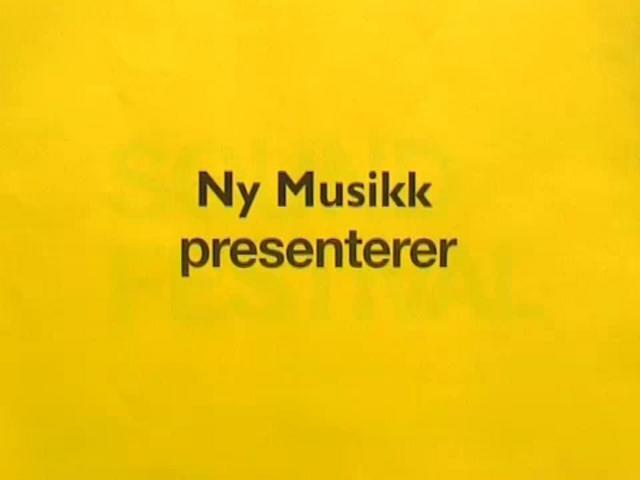 It was used to announce the festival in the city, but Ny Musikk was denied hanging it in the mall. 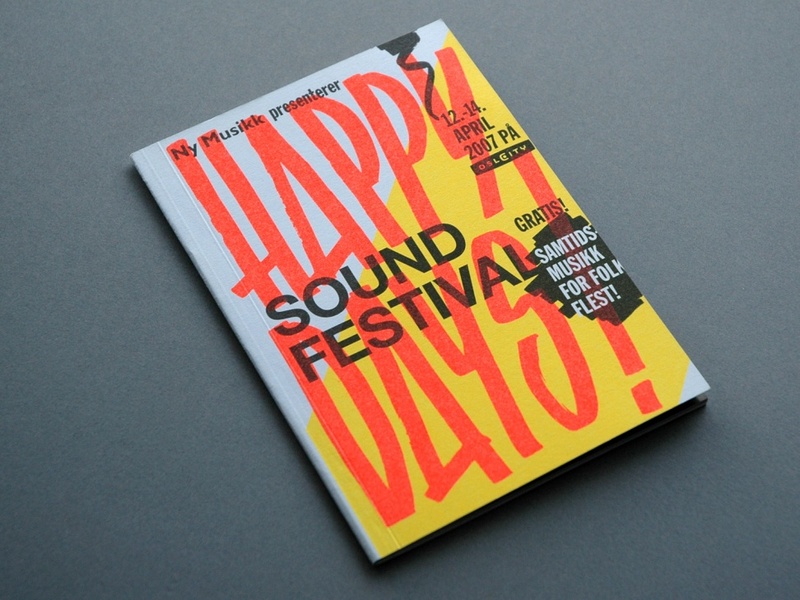 The festival booklet was split in two: one glossy section with full-colour ads for concerts and a number of stores in the shopping centre and a second part that was a critique of the festival with theoretical texts and a program announcing an ‘off-happy-days’ festival and exhibition and debate. We produced t-shirts, hoodies, buttons, balloons and a movie that ran on the shopping centre's video wall.